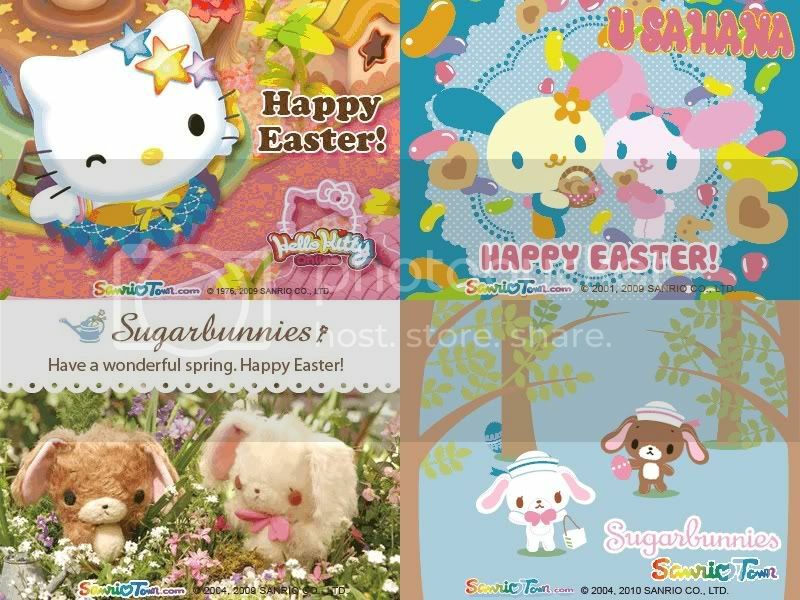 To download them, simply log in to SanrioTown with your accounts and go to the download center. You will see them under the "backgrounds" section. 1. To join the event, simply become a fan and indicate your participation by clicking "Attending" on the RSVP section on our Facebook page. 4. Go to the SanrioTown main blog and find the clue you’ll need to locate the event’s "treasure.". Hello fans! Hello Kitty Online has released its future plans and response to player feedback. Know more about the game’s latest development and the improvements we’re making to existing features like enhancement of the targeting system, adjustment of drop and crafting rates, and the SanrioTown Game Center integration to HKO. Notice anything different? That’s right, this blog’s layout has changed to a new one! The Sugarbunnies appear on the latest blog layout of SanrioTown, showing them in one of the most known events during Easter: the egg hunt! Join in the hunt by choosing this theme to decorate your blog this Easter season! Other themes featuring your favorite adorable Sanrio characters await you on SanrioTown, so check it out now! March 2010 Downloads Now Available! It’s March already, and the new SanrioTown freebies are now available for you to download! All you need to do is sign in and head on off to the Download Center to grab the wallpapers, calendars and more featuring your favorite Sanrio characters.Not registered yet? No problem! 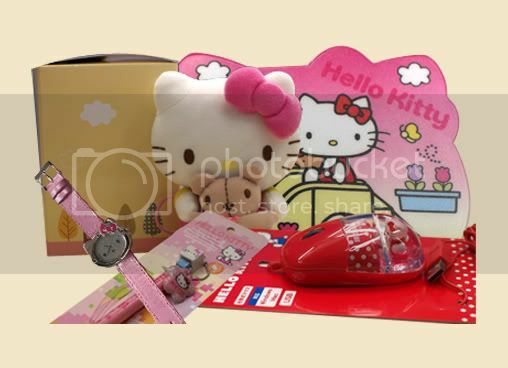 Click here to get your free SanrioTown account now! Hello everyone! We would once again like to share with you what the HKO team has been working on. First off, we’d like to talk about a few improvements and fixes that were added to the game recently but not properly documented. ● Daily, weekly and monthly repeatable quests are now available! Talk to Material Merchant NPCs in Florapolis, London and Paris to get started! Our goal in the next months is to expand end game potential, player communication, and guild functionality. These are ongoing projects, so expect to hear more! Here are some of the additions we will be making to the game in the coming months. Our next update will address a problem with certain head items, which change your character’s hairstyle back to default when worn. After the patch, items worn on the head will no longer cause this problem. You can finally show off your hairstyle AND head gear at the same time, making it easier for players to customize their characters. We are working on letting players switch chat channels by typing them right into the chat box before the message they want to send. For example, to send a message to the map channel you will type /m . In order to improve communication for players, especially new players, we will add a new chat channel dedicated to in-game help. More details on that later this month! The SanrioTown Game Center is a section on SanrioTown.com in which members can play dozens of minigames and earn Loyalty Points. Check out the link if you haven’t already seen the SanrioTown Game Center! 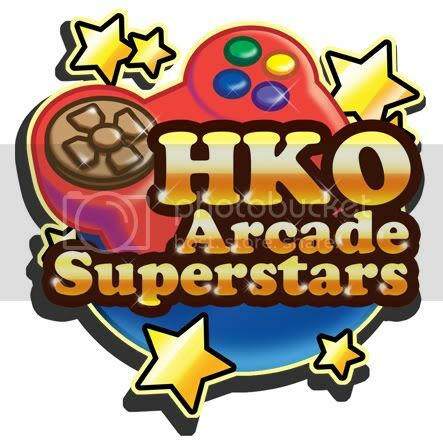 These minigames will be integrated into Hello Kitty Online, so players will be able to play them inside HKO. This will make it easier to earn Loyalty Points for use in the Item Mall. Expect this feature to be available later in March, along with a special event to celebrate the launch. ● New adventure maps and new quests! ● New features to stimulate friendly competition among players! We will keep you posted on further developments, so stay tuned! You are currently browsing the Kitty News Blog weblog archives for March, 2010.